The new 60 series offers seven new models with capacities from 12,234 up to a massive 33,477 litres. “The Flexi-Coil 60 series is designed to deliver higher yields through increased productivity, efficiency and accuracy, and it sets a new standard in reliable seeding,” Steve says. Growers will soon get their chance to see the 60 series for themselves and forward order for season 2017, with six air carts on their way to Australia for demonstrations for the first time in April. 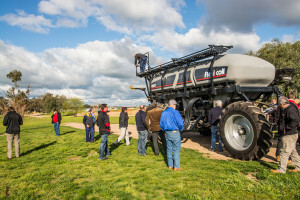 Customers in New South Wales, Victoria, South Australia and Western Australia will have the opportunity to attend demonstrations of the 15,329-litre model, 19,558-litre model, 20,439-litre model and 26,782-litre model. “The response from our dealer network to the 60 series air carts has been extremely positive and we certainly anticipate a lot of interest from growers who will want to forward order now to secure the new model for their seeding in 2017,” Steve says. The new models include patent-pending features that put them ahead of the rest of the market, but the machines are still easy to operate. The new 60 series distribution system delivers greater application accuracy and gentler seed handling, with simple variable rate application and full section control. “The 60 series is ideal for large-scale farmers who depend on efficiency and productivity from their seeding equipment,” Steve says. Each metering system is operated by an independent patented 24-volt electric drive motor with integrated controls. Seed and fertiliser can be applied in single-shoot or double-shoot application with the FlexRateTM modular metering system. The FlexRateTM system is easy to use and delivers great flexibility. The operator can utilise preloaded prescription maps using the task controller and a GPS input. The 60 series is designed for fast, easy, safe filling and emptying, with large tank openings, low-profile lids, offset platform and folding staircase. Some models include a fast fill conveyor with remote control and a pneumatic fill system for the small seeds tank for increased productivity. “The remote controlled conveyor on the 5560, 5860, 7660 and 9560 tow behind models works extremely well. It is user friendly and makes filling quick and easy, so you get maximum productivity out of it,” Steve says. The 60 series is available in tow-between or tow-behind configurations. Both are designed for advanced floatation and stability in all terrains.  Flexi-Coil has a national network of 50 dealers. To find out more about the 60 series air carts and demonstration days, customers should contact their local dealer.